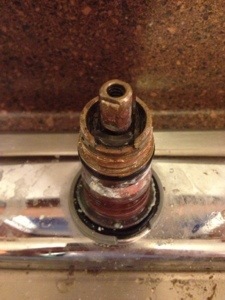 I did a stupid thing Monday night, showed some initiative and tried to fix a leaky faucet that had turned into a sideways-spraying faucet. To be fair, YouTube is partially to blame for this debacle; it’s dearth of do-it-yourself videos can give a guy irrational confidence about his abilities. I’m not and never will be qualified to do anything that’s more mechanical than changing a lightbulb or replacing batteries. But the guy on the Web vid made it look so easy and the neighborhood hardware store had the necessary parts. Mercury is in retrograde? Oh. Hell of a week for the female half of the New York City Fury household. Louise missed a flight to Florida, made a flight to Florida, had her Macbook Air die in Florida. Returned to New York for a week that included dealings with the paparazzi, Opie & Anthony, Howard Stern and TMZ. Went to the Apple Store on the Upper West Side of New York City and waited three hours while the Apple Geniuses — that’s what they’re called, it’s not a Sid Hartman insult — informed her everything was lost. Two days later, after reinstalling some programs, the Macbook — which is only 11 months old — died again. The next day’s return trip to the Apple Store included several more hours of waiting but no chance to chat with the Geniuses. That night, Sunday night, Louise finally discovered what was behind all the drama, debacles and computer crashes. The first games of an NBA season don’t carry the prestige of opening day in baseball or the opening week of the NFL season. There’s nothing poetic about them, no national celebration that includes new songs from our favorite country singers. The start of the NBA season is simply the first chapter in a book that can seem neverending. Shaving is the worst. Still, I’m not sure I could play for the bearded Boston Red Sox. It’s time for this week’s links. Here you go. * SB Nation’s Jon Bois has a feature called Breaking Madden where he basically messes with the famous video game and lets the game play out. This week he plays a game with 44 Greg Schianos. Things get ugly. * Paul Pierce is a New York guy now. * New York Times profiles Deadspin’s Tim Burke, the creator of amazing sports GIF’s. * Pictures of New York subways from the 1970s and ’80s. Times have changed. * Rare interview with Calvin & Hobbes’ Bill Watterson. * Jeff MacGregor in Smithsonian Magazine on why no one will ever replace Richard Petty. * Grantland’s Andy Greenwald offers suggestions on how NBC can fix its programming lineup. Also from Greenwald, who seems like a prime candidate for a future edition of the Fury Files, comes this take on the final season of Eastbound & Down. * Take the Tom Hanks movie hair quiz. * From The Onion’s AV Club, 10 anxiety-reflecting Simpsons Halloween segments. * Anchorman 2 is happening. Here’s the second trailer. * On Milwaukee takes a look at the incredible backstory of Milwaukee Bucks rookie Giannis Antetokounmp aka the Greek Freak. At long last, the NBA season is (almost) upon us. TV and Fury take an early look at potential contenders, as well as breaking down another NBA preview podcast. Andrew Luck seems like a nice enough guy and a good enough quarterback, but I was pulling for Peyton Manning when the Colts hosted their former star on Sunday night. It had nothing to do with cheering for the Broncos or being anti-Indianapolis. It’s just that when an old legend faces a young star I almost always find myself cheering for the elderly player. It’s not anti-youth but simply about now identifying more with the guy who’s been around forever or even guys who have been hanging around for too long. Does this happen to all sports fans, is it a natural progression? Probably. And that progression means it’s also an evolving view and wasn’t always this way. 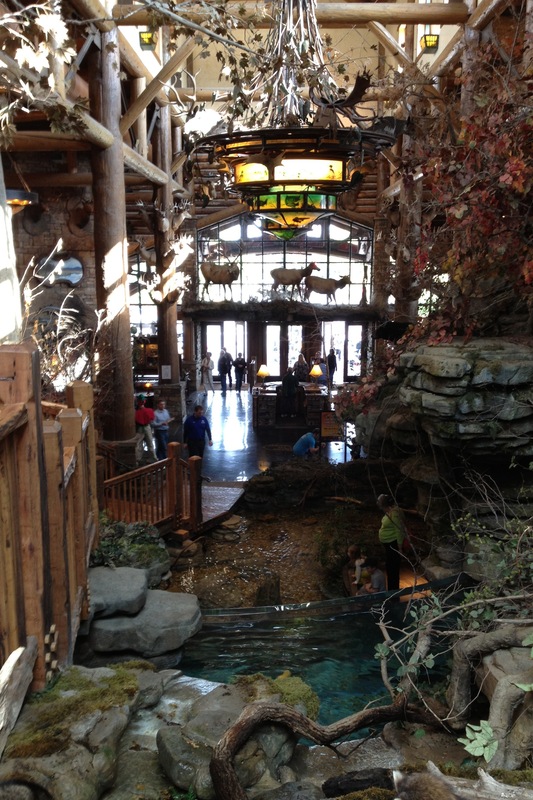 Bass Pro Shops Outdoor World is something to behold – even for non-manly men like TV. This week’s links, presented in alphabetical order by chronological importance. * Great SI cover story from Lee Jenkins on Kobe Bryant as he returns from his Achilles injury. * What if all 32 NFL team mascots were fat? * S.L. Price on the still-mysterious Yasiel Puig. * From SB Nation, a streetballer’s cross country journey to play at Rucker Park. * Manhattan finally has a third water tunnel, as workers just completed a 40-year project. * Does Harvey Weinstein help or hurt movies, from Grantland. * Gay Talese annotates his classic story Frank Sinatra Has a Cold. * Dwight Howard’s mad that the Magic gave someone his No. 12. * Former Georgetown Hoyas – and Sioux Falls Skyforce star – Vic Page has been charged with 33 crimes in less than 4 years. He also lost an eye at some point. The Washington Post has the story. Sort of. * The Kansas City Star reported on a really ugly tale involving an alleged sexual abuse being allegedly swept under the rug. * When Sports Illustrated and ESPN cooperate, good things happen. Like this piece from Richard Deitsch with Bill Simmons.